Put on a couple pounds Bunkie? Is your weakness for desserts you problem? Well I've a solution for that craving. You need desserts that are less appealing. 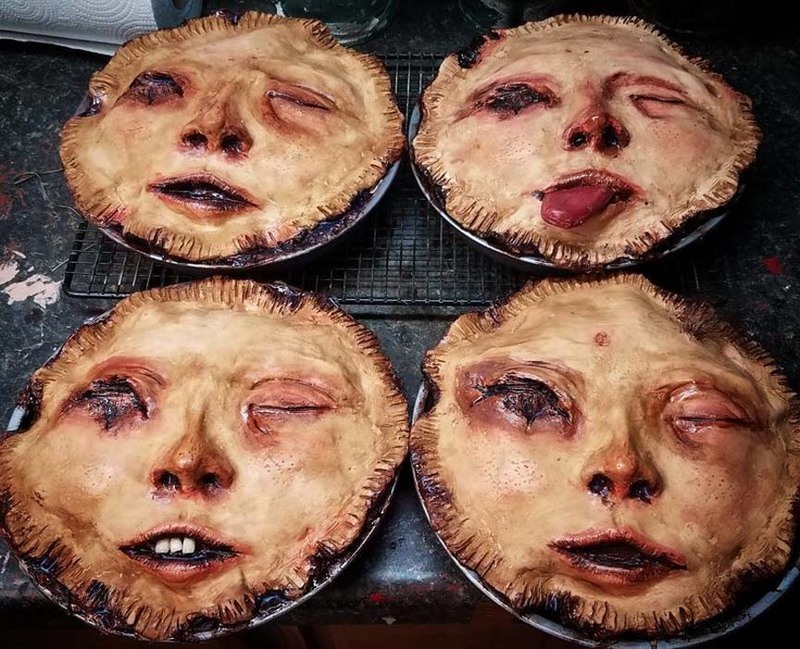 When you open the fridge at 3 AM these pies might even dissuade you. 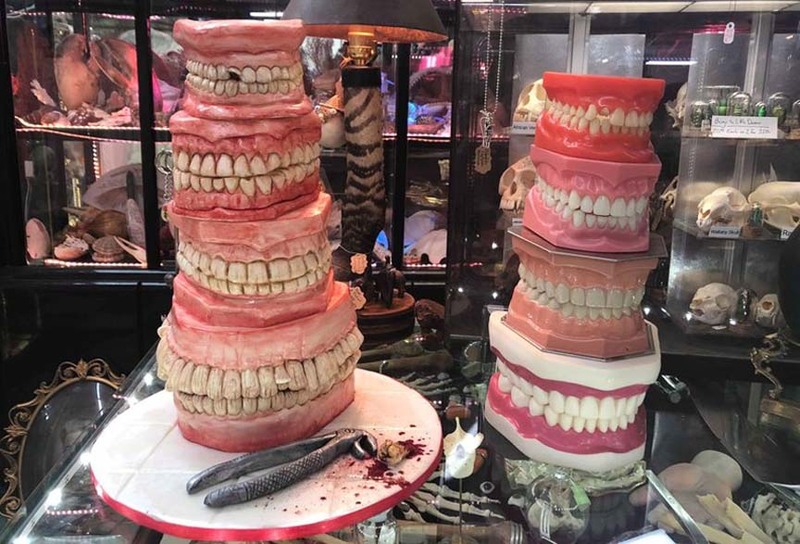 A cake that might remind you of how much you hate going to the dentist.